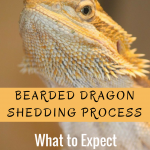 Whether you’re new to the taking care of Bearded Dragon lizards or not, this Bearded Dragons FAQ sheet should answer your most basic questions. It’s important to be in-the-know when taking care of your pet lizard. Let’s give them the best life possible, shall we? 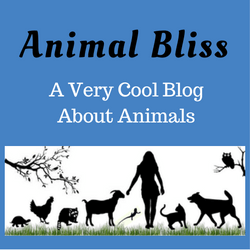 What should bearded dragons be fed? Bearded dragons are omnivores and should be offered a variety of greens and live insects for optimum nutrition. 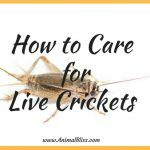 Their favorite live insects are crickets, super worms, roaches, phoenix worms, horn worms and silk worms. Meal worms or pinky mice should never be fed to bearded dragons! The type of greens and vegetables offered is also important, they should have a high Calcium to Phosphorus Ca:P ratio and be low in oxalic acid. The best greens to feed as a staple are collard greens, mustard greens, turnip greens, endive, escarole, kale, dandelion greens, komatsuna, prickly pear cactus, afalfa leaf, hibuscus leaf, mulberry leaf, and winter squashes such as butternut squash. Do not feed spinach and only use romaine, red and bibb lettuce sparingly. How much and how often should a bearded dragon be fed? Young bearded dragons grow very quickly and need to be fed a high protein diet consisting of live feeders two or three times per day for the first year. To instill good habits, it is best to feed greens first, in the morning, then follow with live insects such as crickets, Phoenix worms, roaches, horn worms or silk worms. Feed them as much as they will eat in a 10 to 15 minute time period, then wait 10 minutes and offer a couple more. What size crickets should I feed my baby bearded dragon? Baby bearded dragons need to be fed baby crickets. Pet stores usually sell “small” sized crickets which are in the 3/8″ to 1/2″ range, this size is just right for bearded dragons that are 6″ to 8″ long. When your dragon is over 2 months old, around 9″ to 10″ long, you can start feeding 1/2″ to 5/8″ crickets. The general rule of thumb is to feed crickets that are the same length or smaller than the space between your dragons eyes. Never feed adult or winged crickets to a dragon under 12″ long to be safe. Can I feed my bearded dragon bugs from outside? No, never feed bugs or yard lizards from outside. Insects from outside could be toxic or be full of harmful parasites. Live feeders from farms are raised in a controlled environment that limits their exposure to pesticides and harmful bacteria. They are also fed a more nutritious diet meant just for feeding pet reptiles. Do bearded dragons need water? Yes, keeping your bearded dragon hydrated is very important, especially if you have a baby dragon. Baby dragons can easily get dehydrated due to their tiny body mass and can become lethargic. A water dish can be used, but it is best to offer water from a dropper daily and give shallow baths a couple times per week. Water can also be put on greens to keep them fresh longer and provide extra moisture. What kind of vitamins should I give my bearded dragon? If your dragon is fed a large variety of live feeders and different greens, additional vitamin supplements can be given less often. Many people prefer to use Rep cal Herptivite powder by dusting two feedings of insects per week, but many dragons refuse to eat when this is done. We offer a liquid multivitamin supplement that is safe to use because the Vitamin A is in the form of pro vitamin A cartenoids and there is less risk of toxic levels building up. As with all vitamins, feeding in the proper balance is essential to their effectiveness. A liquid multi can be watered down and given directly, injected into feeders, or squirt on salads. Should I use calcium with or without D3 for my bearded dragon? Calcium should be used daily for growing dragons for the first year and whether it contains D3 or not depends on the type of UVB bulb you use. If you are using a 2 light system with one bulb for heat and a Reptisun 10 linear fluorescent for UVB, calcium with D3 is recommended. If you are using a single mercury vapor bulb with UVB and heat in one, then calcium without D3 is recommended. Even when using a mercury vapor bulb, some D3 supplementation is necessary for growing or gravid dragons. How much calcium does a bearded dragon need? Veterinarians recommend 23mg of absorbable calcium per 100 grams of body weight for all reptiles. It is important to understand the different types of calcium and how they are used by the body because not all types of calcium are readily metabolized. Powder calcium carbonate has very little bio-availability and serves a better purpose as a phosphorus binder when used for dusting live feeders. The exoskeleton of most insects is extremely high in phosphorus which binds well to calcium carbonate in the digestive system to get excreted in the feces. Feeding greens with at least double the amount of calcium than phosphorus in them is a great natural source of available calcium, but the only way to know your dragon is getting enough is by giving a measured dosage at regular intervals. Growing dragons from babies to 18 months of age should get the recommended daily dose of calcium every day, gravid females need three to four times the daily dose during gestation and fully grown adult males should get at least four doses per week while actively eating. 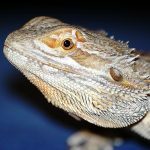 How important is D3 and UVB lighting for bearded dragons? Calcium is the second most abundant element in all living organisms bodies next to water, but whether that calcium gets used by the body depends on the levels of D3 present. The main biologic function of D3 is to maintain normal blood levels of Calcium and Phosphorus, but it also modulates neuromuscular function and aids in new cell growth. D3 is made in the skin when ultra violet (UVB) light is present at wavelengths between 270 – 300 nm, peaking between 295 – 297nm, with an index above a 3 and this is hard to replicate artificially with a light bulb. 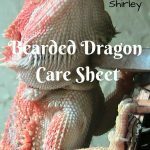 What size cage does a bearded dragon need? Baby bearded dragons actually prefer to be in a smaller cage for security, but they grow very quickly and will need a fairly large cage for their permanent home. The smallest size recommended for a dragons permanent home is 18″ wide by 36″ long of floor space. It is also very important that the sides are not higher than 16″ to 18″, otherwise it will be difficult to reach the recommended bulb distances for proper UVB exposure. A good starter cage size is a 40 gallon breeder tank that can be divided for the first couple months. What kind of bulbs should I use for my bearded dragons lights? The brand and type of bulb you use for your bearded dragon can make all the difference in the world. Not every bulb is created equal and some can even be harmful to your dragon. When you go shopping, the only UVB fluorescent that is acceptable is the Zoo Med Reptisun 10 linear, NOT the compact fluorescent. We test bulbs annually using Solartech UV meters to check UVB output and index, and so far Zilla and Exo Terra bulbs are not sufficient for use with bearded dragons. Remember, the Reptisun must be span the entire cage for constant exposure at a distance of 8″ to 12″ and must be replaced every 6 months. The other type UVB bulbs that can be used are the Zoo Med Powersun and the Exo Terra Solar Glo mercury vapor bulbs. Always follow the recommended distances and replace yearly. To be safe, it is best to let mercury vapor bulbs burn in for at least 2 days before using with your dragon. How long should I turn my bearded dragons lights on and off. Bearded dragons are diurnal, which means they are active during daylight hours and sleep when its dark, so their lighting schedule should mimic the time the sun is up and down. During summer, the lights should be on for 14 hours and off for 10 hours, during spring and fall, they can be set to a 12 on and a 12 hour off schedule, for winter time, set them to be on at least 10 hours and off up to 14 hours. They do not need lighting at night (i.e. red lights). What is the difference between a mercury vapor and a fluorescent? There are two different lighting configurations that are used with bearded dragons and they depend on the type of bulb that is used. A mercury vapor bulb is a large flood type bulb that is capable of emitting UVB and heat at the same time. Mercury vapors are large bulbs that come in sizes from 100 watt to 275 watt that require a deep dome with ceramic base that is capable of withstanding higher amounts of heat and electricity. A fluorescent bulb is a long tube type bulb that does not create large amounts of heat, so it must be used with a separate spot bulb for basking. These bulbs come in sizes from 18″ to 48″ and emit lower levels of UVB, so it is important that a dragon gets constant exposure in every area of the cage. What should the temperature be in my bearded dragons cage during the day and night? Bearded dragons need varied temperature in order to regulate their metabolism, so it is important that they are able to heat up to temps over 100ºF during the day and cool down to temps as low as 75ºF at night. A bearded dragons cage should be setup with a basking area which would be similar to a rock with a beam of sunlight shining on it, and with a shady area to be able to cool down like if the dragon were to go under a small bush or ledge out of the sunlight. So during the day, one end of the tank should be 100ºF and the other end should be 80º to 85ºF. At night it is important that the dragon is able to slow down their metabolism to a resting state, so the temps should be from 70ºF to 80ºF. No lights or heat should be used at night unless the temps drop below 60ºF. Do bearded dragons need to be warm at night? Again, dragons do not need to be warm at night unless the temperatures are below 60º F. They need to slow down their metabolism to a resting rate, so no heat should be used at night. What is the best kind of thermometer to use for my bearded dragons cage? You should never guess at your dragons temps and it is very important to know exactly what the surface temperature is below the basking light, not the air temp. In order to measure it properly a thermometer with a probe or an infrared thermometer should be used. What is the best substrate to use in the bottom of my bearded dragons cage? Never, ever use any kind of loose or particle substrate, including calcium sand, crushed walnut, wood chips of any kind, alfalfa pellets, cat litter, etc. with a bearded dragon, hundreds of dragons die each year due to ingestion of these substrates. Not to mention, they are all breeding grounds for harmful bacteria, parasites, fungi, viruses and cannot be kept sanitary. Keeping your dragons cage clean is the number one preventative of sickness and disease. Recommended substrate materials that are easy to keep clean include vinyl flooring, tile, non adhesive shelf liner, reptile carpet or felt type material, news paper, masking paper or paper and cloth towels. What is the most important thing to look for when buying a bearded dragon? When you are looking for a bearded dragon to buy you want to make sure it is healthy and active. 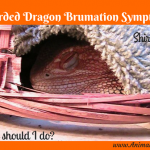 It’s best to be able to pick your dragon out personally, but if you can’t be there to do that, you must find a reliable breeder who will communicate with you. You want to make sure it is eating well and isn’t too small or skinny, make sure it has no bones protruding above the tail and has good fat stores. Be sure it is basking and pooping daily, you don’t want a dragon that sleeps or hides a lot. When looking for a colorful dragon, ask for pictures of the parents so you have an idea how it may turn out as an adult. 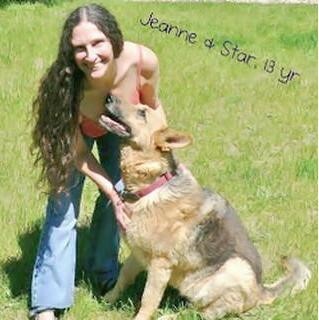 Ask your breeder lots of questions, including if it comes with a health guarantee, most reputable breeders will give you at least a 30 day guarantee. My son’s been asking for a pet lizard recently, so I’ve been doing some research into how to best care for them. I appreciate your tip to not feed your bearded dragon bugs from outside. It’s easy enough to think that all bugs are created equally, but I now know that that is not the case. Thanks for all the information. Thanks for stopping by, Hazel! Take care. 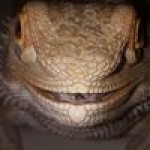 I really like your page,it is very informative and answered a lot of my questions about the care of my bearded dragon. Thanks and keep up the great work.